Of course. However; you forgot to enclose a self-addressed stamped envelope. We regret that Waldorf must lose the experience points and gold for his victory. 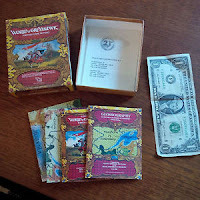 Dear Dragon: My friends and I have been playing the AD&D game for over six years now. Our major characters have levels in the millions, maximum scores for almost every ability, and can obliterate five planes of the Abyss in a round. We have moved on to other games and have developed other major characters in those games. We have created creatures that are barely a challenge for our characters. After a while, role-playing got boring. I haven’t played for about two months. I would like to know how I can have fun with these high-level characters. Perhaps you should meet Waldorf. Dear Dragon: Stop making your game. I killed all the monsters. Please tell Waldorf that I have successfully completed making my savings roll, and ask him how much damage I took from the atomic bomb. My character, “Fist” Xavier Redlance, has become ultimately powerful. . . . He owns three or four completely paid-for and fortified castles. He and his mount, a 14-HD cloud dragon (“Phantom ”), could wipe out Tiamat in one round of combat, or obliterate five tarrasques or even Waldorf. He is a 60th-level knight/23rd-level bard/23rd-level druid/l4th-level illusionist. . . . His two weapons are a mounted Dragonlance and a + 6 two-handed holy avenger. He is also psionically imbued. Tell Waldorf that not all of the planet was obliterated. “Fist” Xavier has two of his castles completely surrounded by granite (i.e, they’re three miles underground). The one thing he hasn’t done is design a device to clean up postexplosion radiation, but he is currently working on the problem. He can come out because his armor is resistant to just about any substance known to man (or Waldorf). Recently, my AD&D® game character, Mirv the Outrageous (a 360th-level mage who had developed long-range space travel and left his home in the Forgotten Realms) discovered a small barren world. There were only a few inhabitants on it, on a 3 x 4-mile island with a castle. After infiltration, Mirv and his comrades discovered the castle’s name: Castle Waldorf. Beneath the castle, working in a salt mine, were the deities of the realm. What a horrible fate. So Mirv and his friends returned to their ship and destroyed all of the remaining life on the island through the use of saturation bombing (phosphorus and antimagic bombs) and Mirv’s favorite spell, power word nuke, a tenth-level spell. They then returned to the island in radiation gear and liberated the poor gods who, due to their lives among the stars, were immune to radiation at ground zero. Unfortunately, the owner of the isle was standing directly at ground zero when Mirv’s spell hit. We truly mourn his loss. I was a little disturbed when I read the letter about Waldorf in issue #137. Well, it just so happens that my 421st-level magic user, Alkeronus, was in outer space for the last year and just decided to come back to Greyhawk. Alkeronus was, of course, ticked off, so he decided to destroy Waldorf and his castle. With his supreme power, Alkeronus made the sun go supernova, which completely disintegrated the planet. Waldorf is dead, and I expect the character to never be used again. Waldorf, you should have known better than to mess with Alkeronus'’s alehouse! We regret to inform Waldorf the magic-user that he is in eternal servitude to Shamogroth Darkmane, a 511th-level Krynn minotaur barbarian and his 89-person barbarian horde. Shamogroth was on his home plane avenging the destruction of his original barbarian tribe, so he was absent during the holocaust. Unfortunately for Waldorf, Shamogroth returned to his home forest to see that it was devastated. Shamogroth then searched for the only safe place on Oerth to return from the Border Ethereal: Castle Waldorf. By now, Mr. Darkmane was very steamed (and a little hungry), so he and his group of barbarians (ranging in levels from 100 to 300) plundered the castle and destroyed it and all within, save Waldorf and the deities. Shamogroth released the gods, who promptly did away with Waldorf’s power by exposing him to a little Negative Material plane torture, then repopulated Greyhawk. Shamogroth is now an epic hero and is watched over by the good and kind gods, and Waldorf is now chained to the bottom of the Valley of Eternal Pain, created by Shamogroth and his divine friends. Sorry, Waldorf. In response to this so-called wizard Waldorf’'s recent letter, I will not send my character sheets to Mr. Waldorf, simply because I am the most powerful being in Greyhawk. Maybe you have heard of me: I call myself the Dungeon Master. And just let me say that I’ve been getting pretty annoyed with Waldorf lately, so watch it! My 1st-level assassin from Waterdeep in the Forgotten Realms was teleported to the world of Greyhawk. He survived the dangers of radiation with his suit of + 5 radiation-proof leather armor. He sought out Waldorf’s castle and made it into the throne room while wearing his cloak of elvenkind, then shot Waldorf with his blowgun and a needle of slaying cheaters doused with Type A cheapo poison he bought at the Waterdeep Assassins’ Guild. Waldorf dropped with one shot. My assassin then freed all the gods under the castle, and they have started to repair and rebuild the world of Greyhawk. I think that for this deed all the people at TSR, Inc. need to send me a written thank you....I also think Waldorf should mail me his character sheet and list of possessions and magical items, so I can total the experience points for my new 14th-level Guildmaster Assassin. Here is your “thank you.” The editors also wish to thank Bloodstone of Furondy (a 386thlevel magic-user) for decapitating Waldorf with a sling, Natricia (a 394th-level magic-user/214thlevel fighter/296th-level cleric) for recreating Greyhawk and challenging Waldorf (“as his damage was such a bother to fix”), Oharan Morshall (“The Drow From Below” who replaced Lolth) who suggested polymorphing Waldorf (“Waldorf Slaad has a nice ring to it, doesn’t it?”), and all the other characters (and players) who wrote to us. Dear Dragon, Recently, Parevé Dotrose (a 564th-level magic-user and 34th-level illusionist) teamed up with Megahnan Whitewolf (a 567th-level mage of high sorcery) to perform the greatest deed of 1991: the great resurrection of Waldorf, king of the nuke! Parevé and Megahnan traveled to the Realms by way of spelljamming and sought out the cleric known as Darklight Moonbeam. They were escorted to Moonbeam’s temple by a fleet of toxic dragons and welcomed by Darklight himself. After a nice dinner, Darklight allowed them to gaze upon his most recent creation: a wand of Waldorf resurrection +36. Needless to say, the two mages were speechless. Megahnan convinced Darklight to help in the plan to bring Waldorf back to the land of the living. So, Darklight gathered up his gear and his merry band of 100 kenders in order to depart on a great adventure. After Darklight had used the wand (and the kender band had “found” all of the things there were to “find”), Waldorf was resurrected. But Waldorf had become a lich! The wand had malfunctioned and just happened to cast a spell that transformed the nuclear man into a mean and nasty undead. Of course, Waldorf wanted revenge on his enemies, who had seemed to come out of the woodwork to kill him. Thus, Parevé, Megahnan, Hanibal the Minotaur (46th-level warrior), and Nicodemis (20th-level sage) wandered the multiverse, slaying the enemies of their lich leader. The first to fall was “Fist” Xavier Redlance. Megahnan polymorphed Xavier’s pet cloud dragon (14 HD) into a salamander and swallowed him whole. Next, Megahnan broke Redlance’s holy avenger +6 with the ancient hammer of Kharas, then finished him off with a 46th-level bolt of plasma. Next, Megahnan used his ring of Mirv finding to locate the human known as Mirv the Outrageous. Megahnan quickly coughed on Mirv’s band, infecting them with the horrid “burning fever” from the DRAGONLANCE® saga, then turned to face Mr. Outrageous himself. Megahnan won the first attack and slew Mirv with one hit from his sword of infinite slaying. Thirdly, Hanibal captured Shamogroth Darkmane while Parevé killed Darkmane’s band of 89 barbarians with his newest 42nd-level spell, spirit rollingpin. Darkmane fought Hanibal and killed Nicodemis (who was along for the fun) in the process. Hanibal became mad and ran Darkmane through with a footman’s dragonlance. Shamogroth died a coward, screaming for his mommy. Lastly, Waldorf, Hanibal, and their new slave, Thor (mentioned in issue #152) killed the hundreds of other characters who dared to try to challenge Waldorf in 1989. To top it all off, Waldorf and his new twin dragon steeds, Tiamat and Takhisis, fought a hard battle with the powerful being known only as “Dungeon Master.” Of course, Hanibal was there to help in the battle, so the DM died also. So, now that Waldorf lives again, he will begin to control, mold, and shape the world of Greyhawk as he wishes. I sorta knew this would happen, sooner or later. Dear Dragon, I have had it with Waldorf and the 100 + level campaign. I’m stuffing a hammership with nilbogs and ramming Waldorf’s castle. If I act fast, I can catch all of his demi-followers at the victory celebration. The nilbogs will convert all the damage they take into hit points and wipe out the survivors. The End (I hope!). Your plan worked perfectly Congratulations. Waldorf is officially dead! Waldorf the Archmage (CN human male, Wizard 1, hp 1) is the 64 year old owner of the Roc and Oliphant Tavern. "Waldorf is notorious for his tall tales, most of which allegedly concern his past life as a deity. (He says he was eventually thrown down and made mortal by other jealous gods after a great battle in space. )He is a master storyteller for a failed wizard, and his grandiose but straightforward lies are the envy of all." Bigby's Tee: This one is a recent creation from a tee shirt contest a couple years past. I could not find it in time for GenCon which irked me but lo and behold its now on ThinkGeek's site. Well done guys. I can easily get this cool tee so let's move on to the rare stuff. Olidammara's Dice: These are high on my wish list for Greyhawk related stuff. A pair of six-siders with the symbol of Olidammara god of rogues on one face. 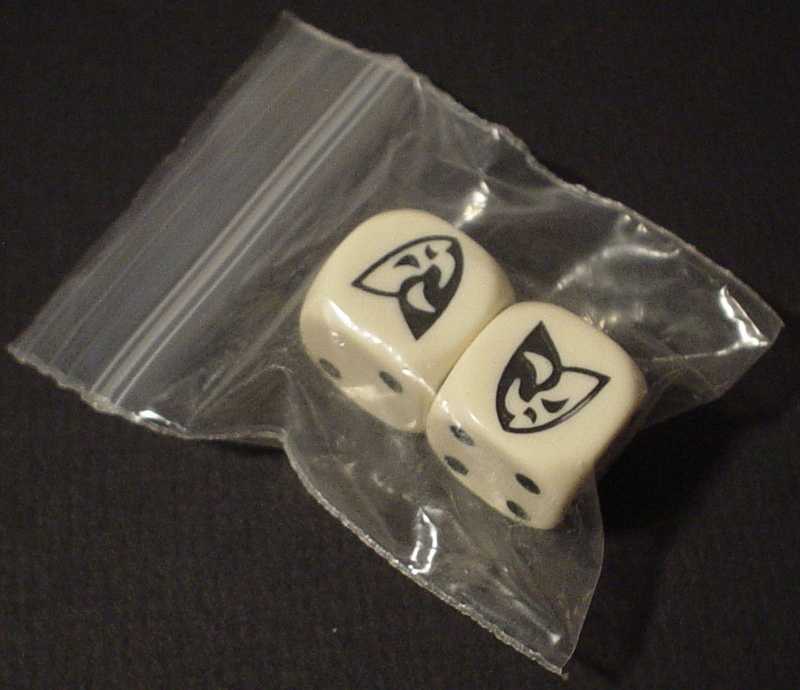 If you haven't heard of Olid's Dice they are an artifact only seen in 3E's Epic Handbook. There is still a Olid's dice utility on Wizard's archive that may still function too. I'm sure I can find this on Ebay someday, then I'll be able to tempt my friends who can;t resist random stuff like the Deck of Many Things. Runner up here would be the Fist of Emirikol another cool D&D die that has some rules attached to it. 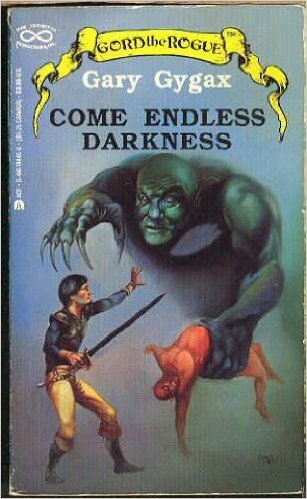 Gord Novels: There is several titles of these alternate-Greyhawk Gygax novels floating out there and I already own a couple, but the ones I'm most keen on locating is Come Endless Darkness and Dance of Demons. The last two in the series which also have the most Graz'zt and Tharizdun action I hear. Those two novels shouldn't be too hard to get, but like comic books it's something I'd love to stumble upon and be surprised than chase it down. That's all for now. If anyone has other ideas or even has the items listed above, I'd love to hear about it. It's a light week for me, so I'll talk a bit about WotC closing their community forums in October. From a personal POV those forums have been dead to me for many years now. The once decent Greyhawk forum (a sad subforum of "Other Worlds") saw cross-traffic between it and places like Canonfire and ENWorld then was suddenly and effectively abandoned at the outset of 4E, I'm not sure people moved on to other forums because there was no good 4E Greyhawk material to discuss since Wizards DID publish Greyhawk material in eDungeon/Dragon, and also put out reprints of classic books. Maybe these efforts were discussed in other locations on the Wizards forums, but as a dedicated forum to Greyhawk, the community was long gone from there by the time 5E rolled around. I definitely agree with their sentiment that technology has changed things. Forums still have their place, since they are best for finding news and information in long form. For quick topics however, discussion and Q&A type things, blogs and social media are easier to follow on a daily basis rather than a forum thread which runs in the dozens of pages. So in short, no sadness here about Wizards dumping their forums. Much like their current adventures, the task of community building is better handled by other sources. Welcome back Greyhawk mavens! 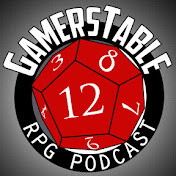 Well I'm caught up finally in promoting the third chapter of our ongoing Castle Greyhawk graphic novel. Check out page twenty-six plus follow some additional annotation by supreme scribe Scott Casper. On our site you can also check the archives and follow the entire Castle Greyhawk story from the very beginning. Artist's Commentary: Well this page was special so it just sprung to life in a hurry. It's not often we do a splash page, but the level of detail is heightened and the extreme angles are epic. I love it. The sword hanging off panel was my idea though, trying to pull you into the frame with Yrag. Anyhoo, Scott has something coming up big for the finale of this chapter. Until then I hope you all enjoy the view of the ice cave. Here's a short but pleasant bit of Greyhawkery. 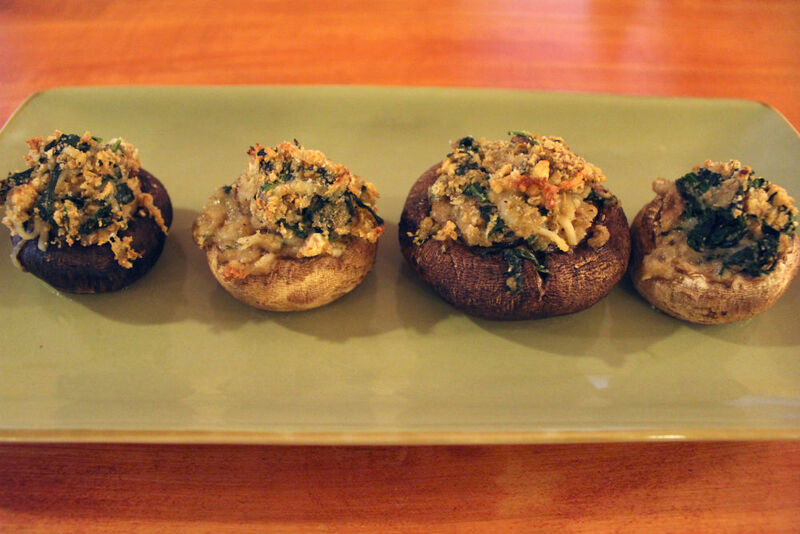 Continuing with the sudden D&D fame that our favorite fungi demon-queen, Zuggtmoy is enjoying, I have to share this incredibly cool blog post today by Geeky Hostess. Now I want some of these, foul demon curse be damned! Welcome back Greyhawk patrons! Well this is unusual, I'm two entire pages behind in promoting the third chapter of our ongoing Castle Greyhawk graphic novel. 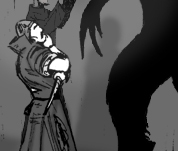 Check out page twenty-four AND twenty-five plus follow some bonus exposition by fantastic fantasist Scott Casper. On our site you can also check the archives and follow the entire Castle Greyhawk story from the very beginning. From an artistic standpoint I've really enjoyed this interlude and the time for me to draw them really flowed faster than ever. What keeps the dungeon interesting for me is new tunnel and room design and in this case the mysterious mural. Spending too long in one location is a grind artistically, so I like that the party has keep it moving at this pace. Speaking of locations, page 26 coming soon is a doozy. Stay tuned! I have to admit, I can't get enough of this Fall's D&D event, Rage of Demons. I have a feeling a vast majority of D&D fans can't get enough either. So what is it about demons and demon lords that captures the imaginations of RPG fans (as much as dragons)? It's probably a long and complicated answer, but I can provide a couple concrete reasons to build upon: demons are an unrepentant evil and they look damn cool. Dragons look cool too, but being evil isn't necessarily their whole reason for existence. There can be exceptions. Not so with D&D demon-kind (or Tanar'ri as they were known in the dark times). Demon lords especially are totally, 100% irredeemable in this game so that makes them the best villains. These aren't demons like you'll see on Buffy (except maybe Graz'zt). That means there is no ambiguity or confusion (unless they create it) in defeating them since they certainly won't feel bad taking your character's soul first! For these reasons Greyhawk has always been a hot-bed of demonic plots over the years. From the very beginning, Iuz the half-demon son of the demon lord Graz'zt has been the primary evil threatening the Flanaess. And his witch of a mother, Iggwilv is the main authority on demonology with her famous Demonomicon. Then nearby, trapped in the Temple of Elemental Evil lurks Iuz's ally the queen of fungi Zuggtmoy. 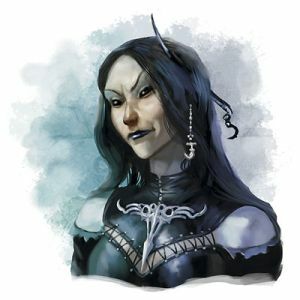 Beneath the mountains, Lolth causes trouble for Oerth all the way from her Demonweb. That's just for starters. 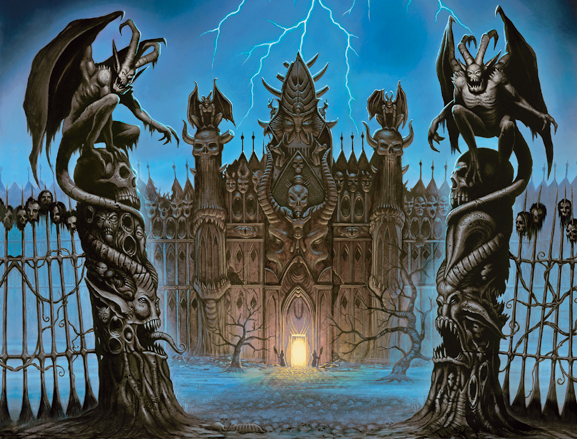 Fraz-Urb'luu was once trapped beneath Greyhawk Ruins by mad Zagyg, the Prince of Demons Demogorgon tried to wreck the world with his Savage Tide, the Queen of Chaos terrorized Oerth in prehistory against the Rod of Seven Parts, and the foul Kerzit menaced the dungeons of Maure Castle. There was simply so many demons in Greyhawk at one point that the Crook of Rao had to be used to chase off most of them. So have fun playing Out of Abyss as they tear-up the Forgotten Realms. Or maybe an enterprising DM can adapt the module to Greyhawk. It's not like Oerth can't handle a few pesky Demon Lords. A few days ago ENWorld's Morrus posted an interesting article that talked about the relevancy of whimsy in D&D today in regards to the characters previewed for the upcoming Out of Abyss adventure. He highlighted an old WotC article from 2005 on why humor is downplayed whereas it was more prevalent in editions before that (TSR era essentially). This naturally points a big finger at many Greyhawk products, most of which not considered classics. Sure Greyhawk has had plenty of whimsy, but I have a hunch Forgotten Realms hasn't had as much (in my limited experience) even compared to other settings like Planescape or Spelljammer. To go along with this is a poll asking if you like whimsy mixed with a "grimdark" setting like the Underdark with all these demon-lords running around in it. I for one have no problem with whimsy mixing with serious if it is handled with care. Currently the poll stands at almost 2/3 in favor of mixing the two elements, with the rest either against or not caring. This shows that there's just enough confidence in D&D's writers to try anything. If those results were like Fantastic Four's rating on Rotten Tomatoes then I'm sure there'd be damage control going on right now. Let me tell you about WhimsyHawk! When people think of humor in Greyhawk the first shoe thrown is Castle Greyhawk, the infamous joke module. It's intentionally full of parody, puns and worse atrocities. The art (Jim Holloway on interiors) is especially supportive of this whimsical adventure. To wit, demon-lord Graz'zt is in this module as well which must make him some sort of object of dark comedy (I should know). When comparing the cast of Out of Abyss to previous D&D the next whimsy duo brought up is Greyhawk's Dungeonland and The Land Beyond the Magic Mirror. It is no coincidence that these two modules also have their setting within the realm of "Castle Greyhawk" though they predate the joke module's publication by five years and have no more direct connection than that. That Greyhawk took on a dark and dangerous Alice parody back in 1983 is remarkable since Alice is presented as more dark than whimsy these days in movies and graphic novels. I could go on and talk about other silly aspects like those found in Greyhawk Ruins (see a pattern here? ), Expedition to the Barrier Peaks (debatable), or heck, Zagyg the demigod of humor, but the bottom line is that none of these things present a serious threat to the World of Greyhawk setting. Castle Greyhawk never instigated the Greyhawk Wars and Dungeonland never threatened to change the face of the Flanaess if the heroes lose. 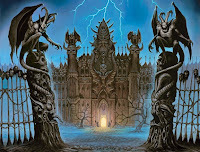 Out of the Abyss wisely starts in the Underdark yet I believe the premise is that if the demons win there, they will spill out and ruin the Sword Coast next. I'm not sure its the demon-lords; I think some people are more worried the whimsy is going to break loose and infect Faerun! So yes, I like a mix of dark and humorous, but I don't think the D&D team is in danger of spreading too much whimsy to their future products either. After two heavy world-saving storylines like Tyranny of Dragons and Princes of the Apocalypse why not have a little light-hearted stuff to set up what will inevitably be another Realms-shaking event anyhow?